“Unbalanced oil and vinegar” is a colorful name for a cryptographic signature method. This post will give a high-level description of the method and explain where the name comes from. The RSA encryption algorithm depends on the fact that computers can easily multiply enormous numbers, but they cannot efficiently factor the product of two enormous primes. Whenever you have something that’s easy to do but hard to undo, you might be able to make an encryption algorithm out of it. The unbalanced oil and vinegar (UOV) digital signature algorithm is analogous to RSA in that it also depends on the difficulty of factoring. But UOV is based on the difficulty of factoring the composition of a linear and nonlinear operator, not multiplying prime numbers. One advantage of UOV over RSA is that UOV is quantum-resistant. That is, if large quantum computers become practical, UOV signatures will remain hard to forge (or so it is currently believed) whereas RSA signatures would be easy to forge. 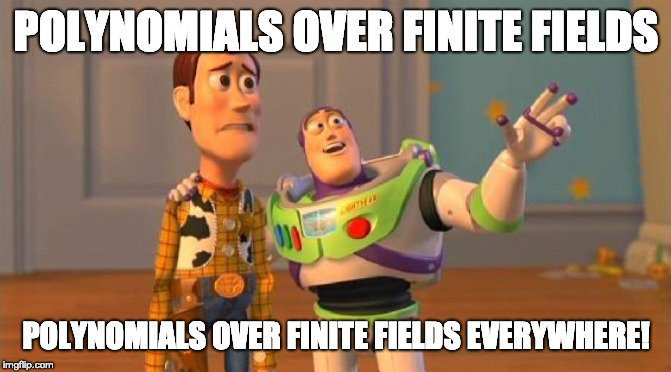 Solving large systems of multivariate polynomial equations over finite fields is hard, provably NP-hard, unless there’s some special structure that makes things easier. Several proposed post-quantum digital signature algorithms are based on this, such as the LUOV variant on UOV. The idea behind UOV is to create systems of equations that have a special structure, with some “oil” variables and some “vinegar” variables, so named because they do not mix, or rather mix in a very simple, convenient way. This special structure is kept secret, and is obscured by composition with an invertible linear operator. This operator acts like a blender, thoroughly mixing the oil and vinegar. The term “unbalanced” refers to the fact that the scheme is more secure if you do not have equal numbers of “oil” and “vinegar” variables. How large do these systems of polynomials need to be? On the order of hundreds of equations and variables. Not that large compared to linear systems, where’s it’s common to solve systems with millions of variables. And the polynomial are only of degree 2. So in one sense the systems are small. But it takes several kilobytes to describe such systems, which makes the public keys for UOV large relative to currently popular digital signature algorithms such as ECDSA. The signatures produced by UOV are small, but the public keys are large. The system is not invertible in the sense of being one-to-one. By inverting the system we mean producing any input that maps to the desired output. This solution is not necessarily unique.